Leadership comes in many shapes and sizes—not just one. And different situations call for different styles of leadership. 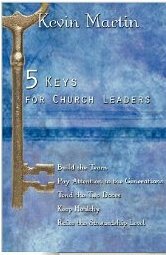 So what types of leader does the church need right now? Clichés become clichés for a reason—usually because they are true. So I am going to risk saying that because the church is in crisis, we need a different kind of leader from those we needed fifty years ago. It is a cliché—but it is also true. I was thinking about this recently when speaking at the induction of a friend, Ross Lockhart, as Director of Ministry Leadership and Education at St. Andrew’s Hall, the Presbyterian College at the Vancouver School of Ministry. My brief was to “give the charge.” This was not a phrase I was familiar with, so I asked Ross whether it meant I had to tell everyone how wonderful he is, or whether it was a chance for me to tell him what to do. Modest man that he is, he said the latter. I was happy to oblige—though I would happily have done the first too. Since seminaries like St Andrew’s are in the business of training leaders, and since Ross is teaching leadership, it seemed like a good opportunity to reflect on what kind of leaders the church needs in today’s world. Traditional healthy churches need leaders who can preach and teach, train and give pastoral care, lead inspiring worship, and be competent administrators. It is a tall order, but over the years, even centuries, many have done this wonderfully well. And seminaries continue to turn out good shepherds of this kind. Frankly, however, there is a limited need for those with this skill-set. This kind of pastoring assumes that the congregations to which they go are in healthy midlife, and simply need building up and encouraging in the way they are already going. But, sadly, there are not many of those around. It is true, of course, that a good traditional pastor may be able to win back the lapsed and get them energised again. 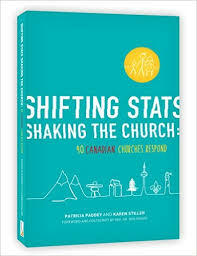 That is a much-needed contribution to the work of the Kingdom, since the “dechurched” are still a significant portion of the Canadian population. But the dechurched are a limited market. It is those who have never had a church experience—the unchurched—that is the fastest-growing demographic (the “nones,” as they are often called), particularly among the young. So if traditional pastors are the only kind of leader we are producing, soon there will be nobody left for them to pastor. Many churches will not survive the next ten years—in some cases the next five years. What kind of leadership do they need? I have the utmost respect for that kind of calling—one I am sure I could never fulfil myself—and the need for “congregational palliative care” is both crucial and growing. Congregations die all the time—just as (please God) new churches are born all the time—but to help them die with dignity and even joy is crucial. God loves these people, after all, and they have often served God faithfully for long decades, through thick and thin. There are too many stories of how such churches have been “closed” with needless clumsiness and lasting hurt. Where are the palliative care pastors such situations need? And who is training them? The third is perhaps the most difficult of the four models of leader: the one who can help moribund congregations change from looking after their existing members to understanding that they are called to participate in the mission of God. Why is this difficult? Well, for one reason, the changes required are pretty fundamental, in all likelihood involving their grasp of the Gospel, their understanding of church, their long-standing ministry habits, and (not least) their theology. Twenty years ago, I thought in my naivety that most struggling congregations would be willing and even excited to make this kind of change in order to thrive again: all they needed was to know how, and good leadership to help them do it. Now we know that is not the case. Given the choice between changing and dying, many will weigh the options: change? death? Hmmm . . . and then choose death as the easier choice. Why is it easy? Because all they have to do is keep doing what they have always done. The other reason this has proved difficult is that most “traditional pastors,” however much they might want to bring about change, simply do not know how. It requires a different skill-set. For a pastor to try to bring about that kind of change without the requisite gifts, and in the face of the inevitable resistance, is a recipe for conflict and sometimes burnout. Of course, there are some congregations who will choose the painful road of change. They need leaders with clear vision and thick skins and stick-to-it-ivenes—not to mention lots of love—to guide them through the transition. These are the turn-around pastors. Finally—and maybe in the long run most important—we have a need for leaders who can start new Christian communities (often called fresh expressions of church) in contexts where existing churches can never go: new churches which reflect the culture of their context, and which have mission in their DNA from day one. In many cases, we will need to recruit such people, rather than waiting for them to come to us. Often the young people who come up through our churches’ farm system know little apart from life in the traditional congregations they come from, and which have recognised that they have gifts for . . . traditional ministry. But the kind of people who are gifted to pioneer new congregations have in many cases never considered ordination because their image of ministry leadership is the traditional one, and they know that is not for them. We need to persuade them that they are exactly what the church needs these days—and train them appropriately. After all this, we need to remember why these things are important. 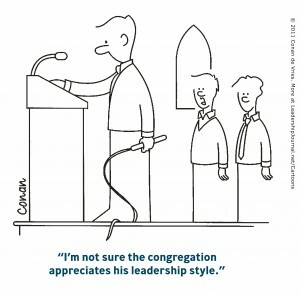 The need for suitable leaders is not in the first place about the church or leadership, or teaching and training. At the heart of all this concern is the Gospel of God—the good news of Jesus. After all, it is the Gospel that brings the church into being (if there were no Gospel, there would be no church), it is the Gospel that gives shape to what we mean by leadership, and it is the Gospel that directs our understanding of mission. All of us have things in our lives that feed us, things that make us glad to be alive and to be doing the work God has given us. But all of us know too those things that cause stress, and make us wonder whether pumping gas wouldn’t be a more satisfying way to spend our time. And some of those stresses are unavoidable—of course. To survive and thrive depends on having a healthy balance of satisfaction and stress. 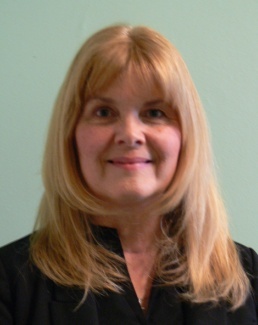 Wanda Malcolm has a professional interest in helping those in church work discover that balance. Dr Malcolm is the Professor of Pastoral Psychology at Wycliffe College, and is working on a research project called the Wycliffe Wellness Project. The Project is a long term study aimed at better understanding the ups and downs of life in “professional ministry” (for lack of a better term)—ordained ministers, youth workers, staff of parachurch agencies, children’s ministers, chaplains (in any setting), and so on. What are the particular “stressors” and “satisfiers” in the life of an individual? They will be different for each person and each kind of ministry. They may even differ from denomination to denomination. And how can we find a healthy balance between the two so that we can find joy in our ministry? Because this is a long term study, we hope that at least some participants will be willing to participate several times over a ten year span, to see how things change and (hopefully) improve. Naturally, participation in the long-term aspect of the study is entirely voluntary, and you can withdraw from the project at any point if you wish. How an ancient liturgical custom prepares us for Christmas—and for evangelism. I was on sabbatical recently. Well, OK, not a real sabbatical. It was only four hours long. It was actually a “Brown Bag Sabbatical,” one of the innovative programs being offered by Wycliffe Serves!–the new department I direct at the college. [i] But that mini-sabbath served the same purpose as a longer sabbatical: refreshment, fresh ideas and (as of this moment) writing. The day was led by Sister Constance Joanna from the Sisters of St John the Divine in Willowdale, in the north of Toronto, and she introduced us to the “O antiphons.” That may be an unfamiliar term, but if you have ever sung “O come, O come, Emmanuel” at this time of year, you are in fact already familiar with the O antiphons, since the hymn is based directly on them. So why is this more than an obscure piece of liturgical trivia, useless in our more streamlined world? And how on earth might it have anything to do with evangelism? O Wisdom, from the mouth of the Most High, you reign over all things to the ends of the earth: come and teach us how to live. O Lord, and head of the house of Israel, you appeared to Moses in the fire of the burning bush and you gave the law on Sinai: come with outstretched arm and ransom us. O Branch of Jesse, standing as a sign among the nations, all kings will keep silence before you and all peoples will summon you to their aid: come, set us free and delay no more. O Key of David and sceptre of the house of Israel, you open and none can shut; you shut and none can open: come and free the captives from prison. O Morning Star, splendour of the light eternal and bright Sun of righteousness: come and enlighten all who dwell in darkness and in the shadow of death. O King of the nations, you alone can fulfil their desires: Cornerstone, you make opposing nations one: come and save the creature you fashioned from clay. 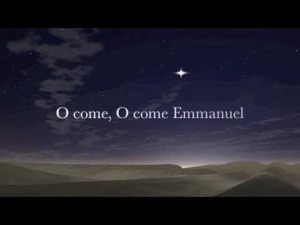 O Emmanuel, hope of the nations and their Saviour: come and save us, Lord our God. Three aspects relate to evangelism. First, each antiphon focuses on a characteristic of Jesus Christ: he is Wisdom, he is Lord, he is Branch of Jesse, he is the Key of David, he is the Morning Star, and he is Emmanuel. Evangelism, whether in conversation or in preaching, is not in the first place about trying to prove the existence of God, or wrestling with the problem of evil. In the first place, it is helping people see what Jesus is like. And this is what he is like. The Jesus of the O antiphons is supremely worshipable. Our brown bag meditation on the O’s reminded me of this truth. Second, the whole of the Christian story is told in the O antiphons. They begin with Jesus as Wisdom, the agency of creation (Proverbs 8:22-31). The next three speak of God’s calling of the people of Israel. He is their Lord, who called them, sought to teach them the law, and set them free from captivity. Then Jesus is the “branch of Jesse,” a king descended from David and destined to rule over the world in righteousness. And this same king is the “key” of David, with power and compassion able to set the captives free. The last three speak of Jesus more directly. He is the Morning Star, the first sign of the dawning of God’s new creation. He is King of the nations, in submission to whose rule is found world peace. And finally—the climax of the seven—Jesus is Emmanuel, God with us. These days, we often speak of “the Christian story” instead of “the Christian faith.” And conversion is not so much “accepting the faith” as “allowing God to work my story into his Big Story.” It’s a very useful metaphor. But what is that Big Story? The O’s remind us: it is a story of a good world gone wrong, the story of a creator who takes upon his shoulders the responsibility of putting things right—even at the cost of his own life. God’s story is about the Spirit of Jesus at work in the world, drawing men and women together into a new community of apprentices who work with God towards the renewal of all things. And it is a story with the ultimate happy ending, when all wrongs are put right, God brings down the curtain on this story, and a new one opens. Evangelism is not talking about the forgiveness of sins, or discovering meaning in life, or finding hope beyond the grave, in isolation from the telling of the whole story. Sin only makes sense if this is God’s good world which we have messed up. Meaning in life can’t be divorced from the purposes of God in the world. And the resurrection is not just a guarantee of life after death, but the turning point in God’s bringing about a whole new creation. The O antiphons remind us of this big picture. Finally, the O antiphons speak of prayer. Each one begins with “O,” but each one includes a “come”: come and teach us how to live; come with outstretched arm and ransom us; come set us free and delay no more; come and free the captives from prison; come and enlighten all who dwell in darkness and in the shadow of death; come and save the creature you fashioned from clay; come and save us, Lord our God. I confess that, when I teach about evangelism, I don’t say enough about prayer. But my hunch is that most people don’t come to faith unless someone is praying for them. And what is conversion to Christ except learning to pray: Lord, please accept me; Lord, forgive me; Lord, take my life. The O’s remind me that once I realise who Jesus is, I cannot help but see my neediness—and that in turn leads me to prayer. 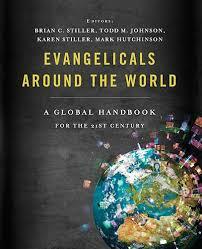 I have a fancy definition of evangelism that I teach to students. But someone recently suggested a much simpler one: “evangelism is overflow.” And that’s right. Overflow of awareness of the majesty of Jesus Christ. Overflow of wonder at the big story that the love of God is writing about this world. And overflow of prayer, both praise and petition, to this same God made known to us in Jesus Christ. They’re all there, in the O antiphons of Advent. [i] For details of Brown Bag Sabbaticals and other Wycliffe Serves! programs, see wycliffeserves.ca. [ii] Quoted in Max Warren, I Believe in the Great Commission (Grand Rapids: Eerdmans 1976), 152.